Jabari Parker’s winning ways can be traced back to his high school days during which he helped his school clinch 4 consecutive championship titles in the state of Illinois. The talented player also had an illustrious one-year of college basketball at Duke University before turning professional in 2014. Parker was selected 2nd overall by the Milwaukee Bucks in the 2014 NBA Draft and after a 4-year stint with the side, he joined the Chicago Bulls in 2018. For the duration that he has played basketball both as an amateur and as a pro, one thing is certain, Jabari Parker is very much not an average basketball player. Jabari Parker was born on March 15, 1995, in the South Shore community area of Chicago, Illinois. He has African-American and Tongan ancestry. His parents are Folola Finau-Parker (mother) and Sonny Parker (father) and he grew up alongside 6 siblings. He had his early education at Robert A. Black Magnet Elementary and for high school, he attended Simeon Career Academy. Parker was an outstanding player right from the very start of his high school career. He made history as the first freshman to ever start on the Simeon varsity team. While helping the school win the IHSA Class 4A state championship, he compiled an astonishing 19.3 points, 5.0 rebounds and 3.0 assists per game in his freshman high school year. His outstanding performance earned him numerous college scholarship offers in addition to the 2010 ESPN HS Freshman of the Year award. The talented youngster maintained his top form throughout his entire high school stint. He won the ESPN HS Sophomore of the year in his sophomore year while his team won a second straight IHSA Class 4A state championship. As a junior, he won the 2012 Illinois boys’ basketball Gatorade Player of the Year award, the Illinois Mr. Basketball, the 2012 ESPN HS National Junior of the Year award, among other recognitions. On April 12, 2012, he was named the 2012 national boys’ basketball Gatorade Player of the Year, becoming the 4th junior to achieve the feat after LeBron James, Greg Oden and Brandon Knight. To cap off his well-decorated high school career, Jabari Parker led his school to a 4th consecutive state championship and just like in his junior year, he won the 2012 Illinois Mr. Basketball and the Gatorade Illinois Boys Basketball Player of the Year award. He equally featured in both the Jordan Brand Classic and McDonald’s All-American Game. Jabari Parker finished high school as the 4th ranked player in the class of 2013. Out of the numerous scholarship offers, he chose Duke University for his college career. Predictably, he had an incredible one year of college basketball with the Duke Blue Devils men’s basketball team. He was named the ACC rookie of the week for a record-tying 10 times and eventually received the ACC Freshman of the Year award. He was also named for the All-ACC first team, All-ACC Freshman Team, All-ACC Tournament team, 2013 Freshman All-American, 2014 NCAA Men’s Basketball All-American first-team among several other recognitions. 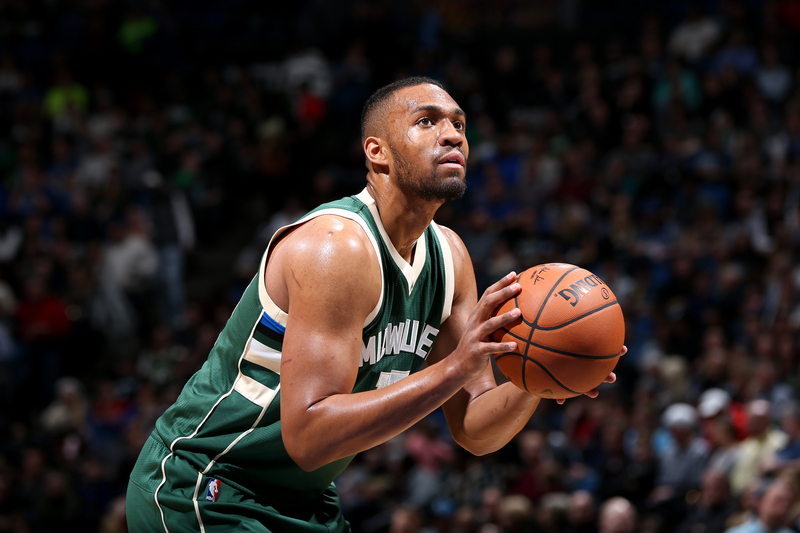 After his freshman year, Parker declared for the 2014 NBA Draft where he was selected 2nd overall by the Milwaukee Bucks. Jabari Parker began his NBA career with the Milwaukee Bucks on a high note but sadly, his run for Rookie of the Year was cut short when he incurred a season-ending injury on December 15, 2014. He featured in only 25 games, averaging 12.3 points, 5.5 rebounds and a career-high 1.2 steals per game. Though the injury lingered till the 2015–16 NBA season, Parker returned to action in the 5th game of the season. He featured in 76 games throughout the season, averaging 14.1 points and 5.2 rebounds per game. Parker continued in his impressive form into the 2016-17 season but this was cut short in February 2017 when he suffered another season-ending injury. Having played 51 games, he ended the season with career-highs of 20.1 points, 6.1 rebounds and 2.8 assists per game. He remained sidelined throughout the year, making his first appearance for the 2017-18 season on February 2, 2018. However, his playing time dwindled to an all-time low as he made only 3 starts in 31 total appearances with the Bucks during which he averaged 12.6 points and 4.9 rebounds per game. Jabari Parker became a free agent by the end of the 2017-18 season and on July 14, 2018, he joined the Chicago Bulls on a 2-year contract valued at $40 million. Since turning professional in 2014, Parker’s NBA career has been majorly derailed by a number of injury woes. The first major injury of his career was a torn ACL in the left knee which he incurred in December 2014. He suffered another torn ACL in the same knee in February 2017 which, like the first one, had him ruled out for an entire calendar year. Still on the fair side of his 20s, Parker’s NBA career holds much promise, however, this is very dependant on his ability to stay healthy. Jabari Parker’s father, Sonny Parker, is a retired professional basketball player. Just like his talented son, he was a first-round pick in the 1976 NBA Draft where he was selected by the Golden State Warriors. He spent the entire 6 years of his pro career with the Warriors, eventually retiring in September 1982. Jabari Parker’s off-the-hook basketball talents were first discovered during an amateur tournament held by the Sonny Parker Youth Foundation, a non-profit organisation founded in 1990 by his father. Parker is a practising member of the Church of Jesus Christ of Latter-day Saints. While in high school, he underwent the church’s seminary program and by age 16 he became an LDS priest.